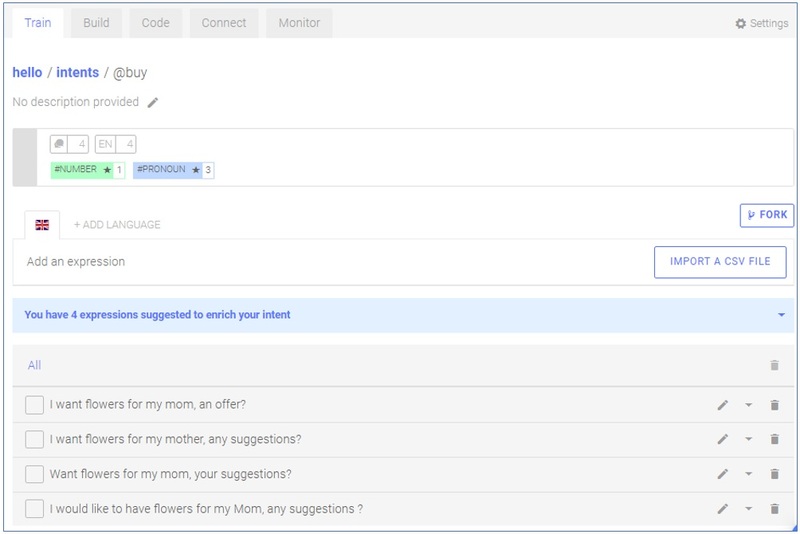 In this blog we’ll learn how to build a simple chatbot with SAP Conversational AI and SAP Open Connectors. 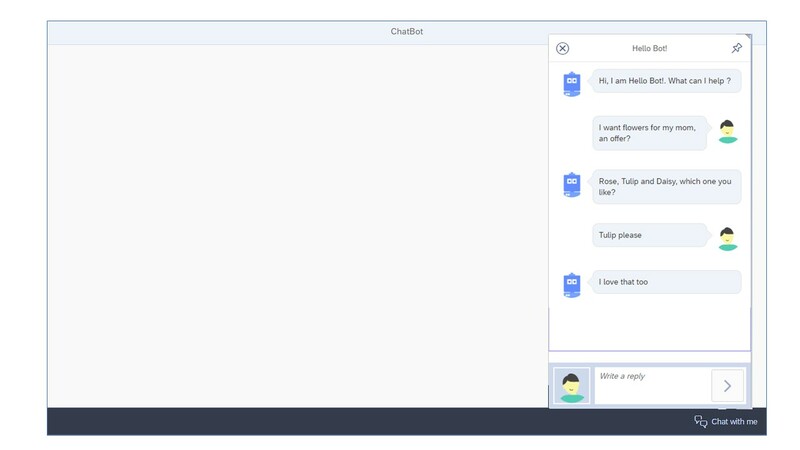 We will also build an SAPUI5 Fiori front-end as an UI for the chatbot. You need to have an account created for SAP HANA Trial OnDemand and SAP Conversational AI. I created hello bot with @buy and @flower intents. I also created @flower_entity entity. Under Actions tab, I defined the Requirements. Select Train tab and get the authorization token information. Take note of this token information, we will use it later when we setup SAP Open Connectors. 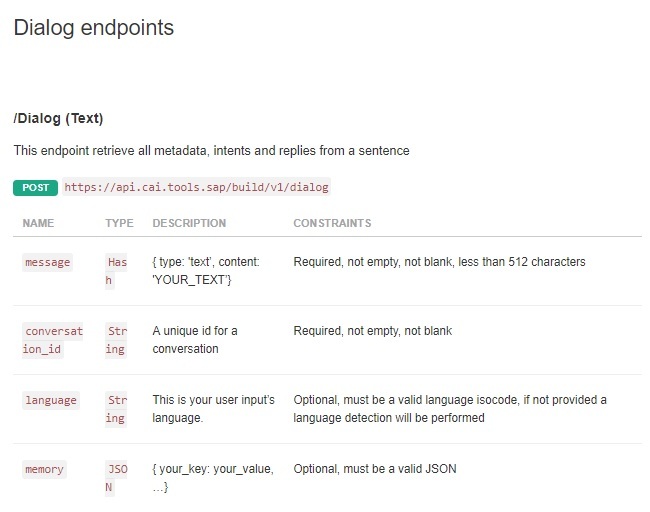 Use the SAP Conversational AI Dialog endpoints to communicate with bot. 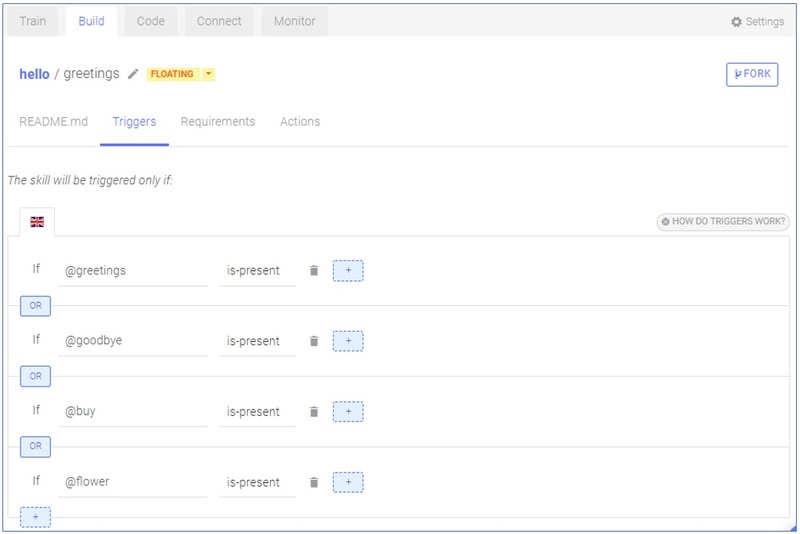 "message": "Dialog rendered with success"
Enable Open Connectors service in SAP Cloud Platform. Logon to SAP HANA Trials On Demand and select Neo Trial. Search for open and select Open Connectors. Now you are at Open Connectors Service main page. Select Connectors to create new connection. Select Build a new connector. 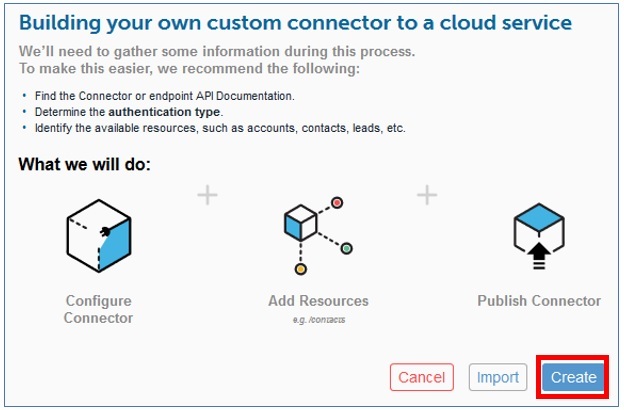 Under Information tab, give the connector name cai and description, type of service REST API and authentication method Custom. Select Save & Next to continue. At Parameters section, set the following properties. Select Save & Next to continue. Under Resources tab, add a new resource, select Post and click Go. Complete the following parameters and click Save. 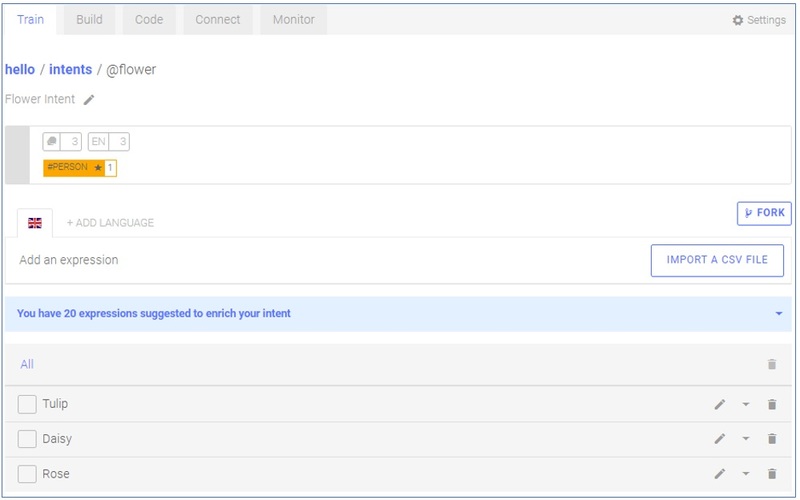 Enter the name cai and select Create Instance. 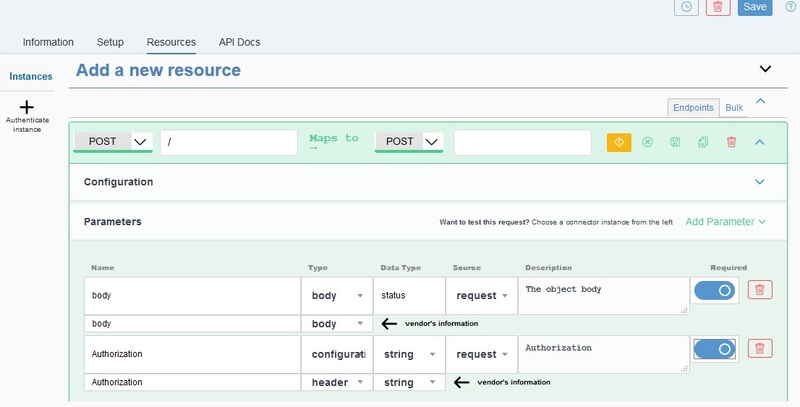 Select Test in the API docs. Enter the following in body’section and click Execute. 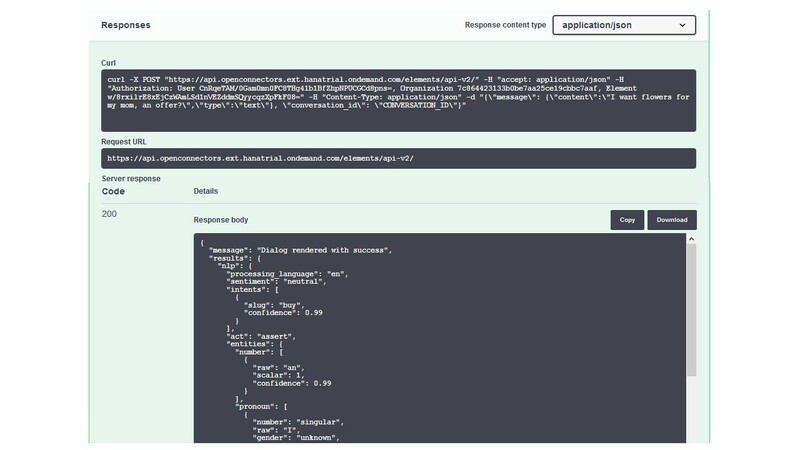 You will get the response message back in JSON format. 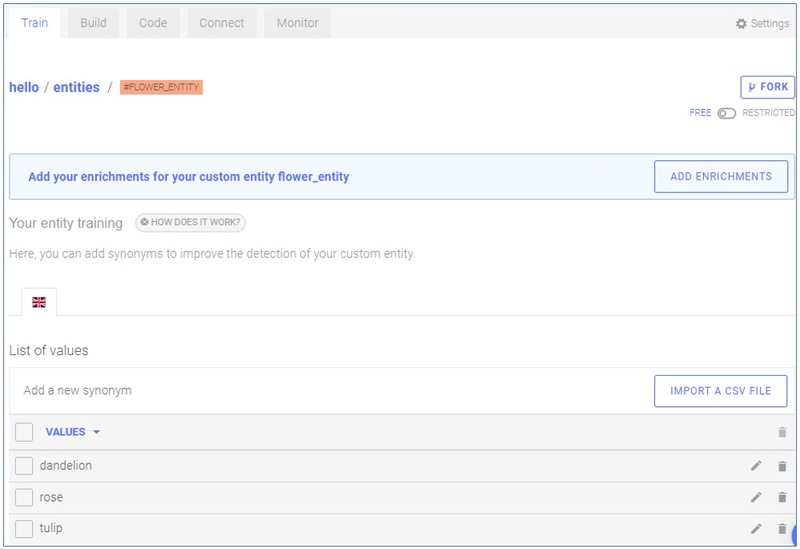 Take note the authorization header information in curl command, we will use this information when we build the SAPUI5 chatbot front-end. headers: ‘Authorization’:’User CnRqeTAM/0Gam0mn0FC8THg41b1BfZhpNPUCGCd8pns=, Organization 7c864423133b0be7aa25ce19cbbc7aaf, Element w/8rxilrE8xEjCzWAmLSd1nVEZddmSQyycqzXpFkF08=’,This is from curl command when we setup in SAP Open Connectors. Execute the Ajax call and we’ll get the response back in JSON format. Parse it and send back to user. Simple! That’s all the required setup that we need to do. 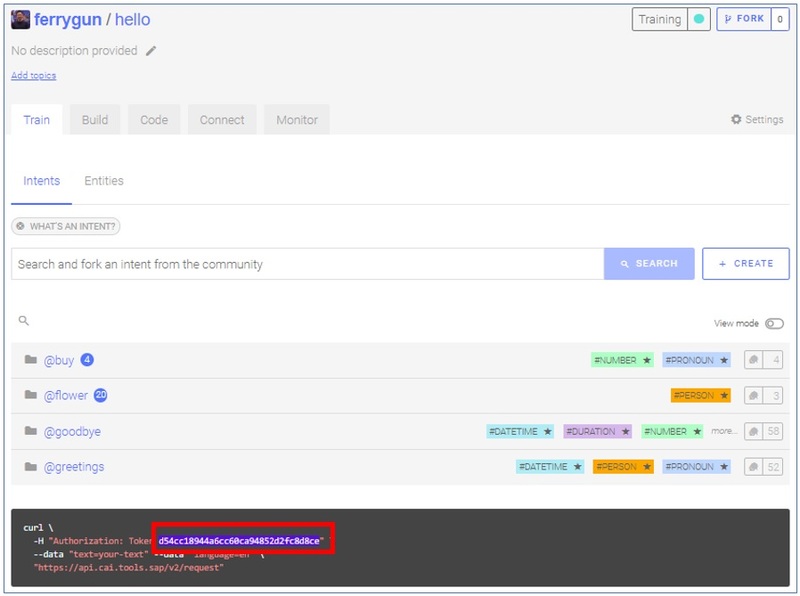 Interesting blog, so in a nut shell your SAPUI5 chat bot uses open connector bot API which in turn talk to conversational AI. 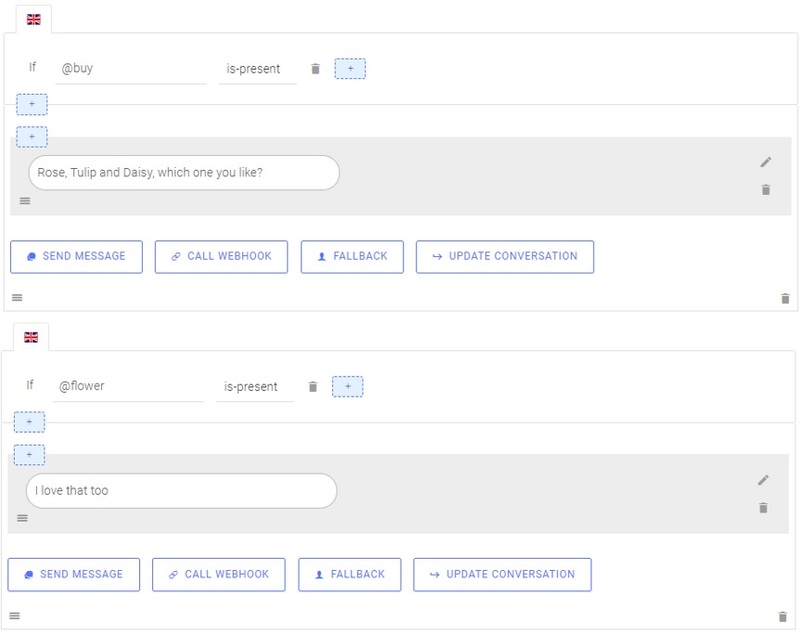 Any reason for not consuming conversational AI API or frontend directly? Amazing article, congrats for your work! 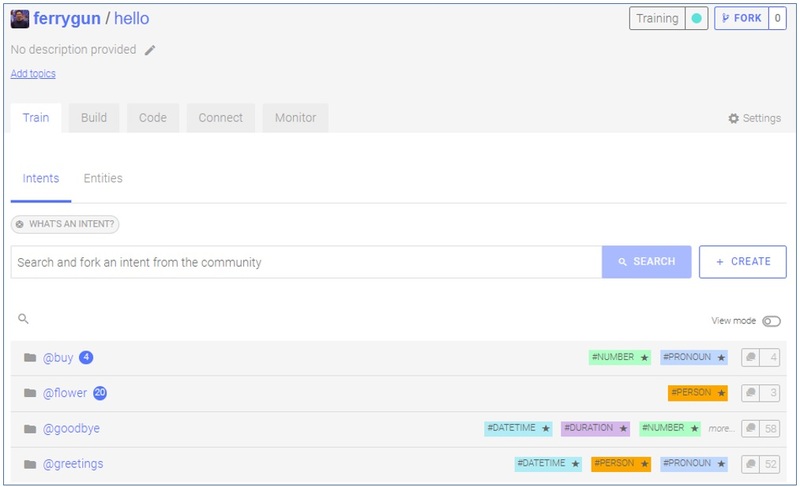 I’m managing SAP Conversational AI’s blog and I wanted to know if you would be interested in being featured in it with a blog post talking about CAI integrations into other SAP products. Thanks. Sure. Happy to share with others! and let me know your blog link. Happy to discuss about it! 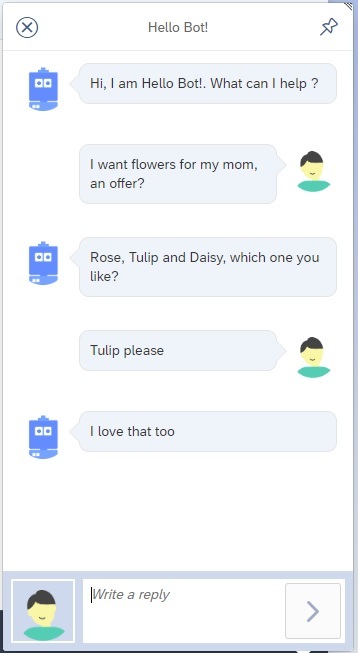 It’s interesting to read your PoC, but I didn’t get the point – what does the Fiori Chat Bot here mean? 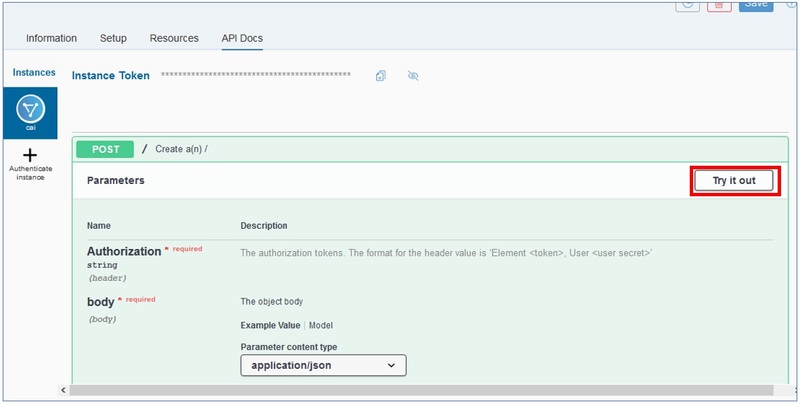 – is your chat bot created by using any Fiori approved UI5 controls? 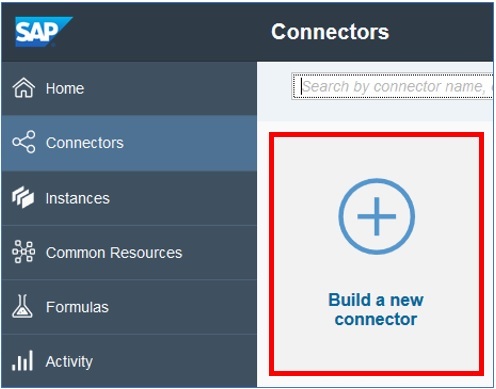 I built this PoC for my own learning experience (also to share with others) that we can integrate SAP Open Connectors with others SAP Product (like SAP CAI). I think that’s the objective of this blog.